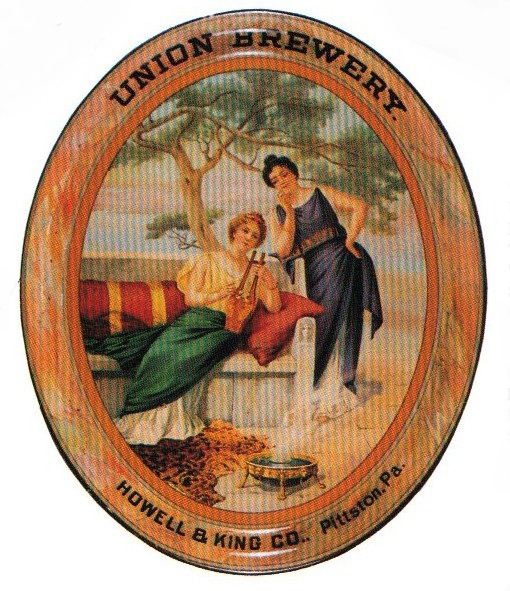 Serving Tray for The Union Brewery a Howell & King Company out of Pittston, PA. This tray has a stock image of two Greek or Roman ladies lounging and playing music underneath a tree. A stock tray is one in which the main image and tray are produced and then sold to multiple Breweries who would each have their own name and brand added. That means that examples of stock trays can be found with more than one Brewery on them!